Yahoo! Our first induction to The SpitfireMom Society! And, wow, did we pick a winner to launch this series. Jennifer Berson is the poster child (poster mom?) of the authenticity and spirit that defines a SpitfireMom. Jen started & runs Jeneration PR, a boutique PR & social media marketing firm specializing in promoting beauty, baby & lifestyle brands based in Los Angeles. A Southern California lifer, she lives with her husband and two boys (Ryan, 3 & Jack, 13 mo) in Sherman Oaks. The minute you start talking with Jen you see why she’s so awesome at what she does at work and at home. 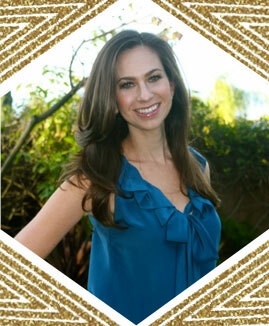 A pragmatic & passionate PR maven, Jen brings what she calls a “Rocker Mom not Soccer Mom” style to parenting. She’s even cleverly branded her childcare situation “Nannies & Grannies” since her mom and mother-in-law split Tuesdays while other work days her kids are hanging with their fabulous nanny. After 5 and before bedtime? Things are handled on her iPhone, a necessary evil, since most of her work is conducted by phone and email. Here’s what Jen had to say about being a SpitfireMom. When I started my business 8 years ago, my very first client was Little Giraffe, a luxury baby accessories manufacturer. They are still a client of ours, and now that I am a mom, my client roster has grown to include several baby brands. The baby & children’s products industry has become our expertise, and also really interests me personally. I’ve gotten very good at managing my time, and saying “no” to certain projects, some potential clients, or those “can I pick your brain” chats. I have to manage my time very closely, because I only have help during the day for a certain number of hours, and if a meeting or phone call isn’t essential, I don’t have the luxury of taking it. Every minute I’m working is time I’m taken away from my family, so it better count! Do you talk about your kids with clients or potential clients? Having children actually helps me relate to my clients’ brands better. I always mention to clients or prospective clients that I’m a mom, as I think it helps lend credibility to my first-hand knowledge of the baby industry. It doesn’t hurt to be a total rock star in your field! I was selected as one of Babble’s “10 Mompreneurs Who Made it Big” so I proudly share that feature with clients. My children are a huge part of my life, and if a client doesn’t understand or believe that I can be a mom, and also effectively and passionately represent their brand, then that’s a client I would prefer not to have. Fortunately, I’ve never encountered that. These days, I’m all about making lists, scheduling errands and multi-tasking. When I am out dropping my son off at school, I use that time before I have to pick him up to get groceries or fit in my work-out (currently loving Bar Method). I schedule everything so it’s in the calendar, and I treat my tasks like appointments so I stick with them. And, we love knowing even rocker moms say yes to help. I’ve come to the realization that I can’t manage it all, so I’ve gotten better at delegating, both at work and at home. I hired a Social Media Strategist to handle all of the execution of content & managing our clients’ social media communities, so I can spend my time growing the business, overseeing client relationships, reporting & developing “big picture” strategy. And on the home front, my husband is currently managing RSVP’s for our son’s 3rd birthday—something that might have ordinarily gotten lost in the shuffle if I tried to tackle it myself. What’s one thing you haven’t figured out? The one thing I haven’t figured out is how to efficiently manage meal planning. I have grandiose visions of planning our meals for the week on a Sunday, and making shopping lists to cook the zillion recipes I’ve found on Pinterest, balancing the week so I have a range of fresh options to serve my family. But in reality, I’m usually running to the grocery store when we run out of milk, and have no list or game plan. I manage to cook for my family about 4 times a week, but it’s usually my same 10 tried & true recipes that I can easily whip together. One of these days, I’ll have the meal planning synch-up with my grocery shopping, I just haven’t figured out how to do yet. I also haven’t figured out how to get my toddler to eat anything besides a cracker, but that’s an entirely different issue! Go Easy on Yourself. It’s practically impossible to be completely balanced in your personal and professional lives, so I think the most important thing is to realize you can’t be perfect, and you have to accept that sometimes the best you can do is probably good enough. Jen, your good enough is pretty kickass. Welcome to the SpitfireMom Society. We’re honored to have you! Know a fabulous, creative mompreneur? We want to hear about her (or YOU)! So honored to be featured as the very first SpitfireMom! I had such a great time with this interview… Heidi & Julie are the best! Thank you again for including me.